One of the little gems that the Knight Foundation introduced at the Future of News and Civic Media conference last week was to award five grand to the best collaborative projects created at the conference. We thought it might be a tall order, what with everything else the attendees were doing, but boy did they ever respond. Attendees pitched 19 brand-new projects, and three of them–TweetBill, Hacks and Hackers, and the WordPress Distributed Translation Plugin–won cold hard cash to develop the ideas further. And the creators can thank their fellow attendees, because everyone used Mako Hill’s preferential voting tool Selectricity to vote on the spot. 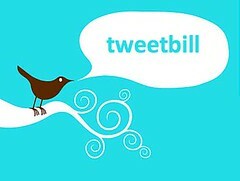 TweetBill sends you notification via Twitter when a bill reaches the stage in the US Congress where it’s useful for you to call your Congresscritter! Sign up, tell us where you live, choose your issues, and you will get a tweet when your representative is slated to vote on a bill, along with the rep’s phone number. The problem: Scattered through the worlds of journalism and technology live a growing number of professionals interested in developing technology applications that serve the mission of journalism. Technologists are doing more and more things that are journalistic; journalists are doing things that are more and more technological. These people don’t have a platform or network through which they can share information, learn from one another or solve each other’s problems. These people are scattered in organizations such as IRE, ONA, SND – and are in both academia and industry. Proposal: Establish “Hacks and Hackers,” a network of people interested in Web/digital application development and technology innovation supporting the mission and goals of journalism. This is NOT a new journalism organization (SPJ, ONA, IRE, ASNE, etc.) . In fact we would call it a “DIS-organization.” The goals of this network are: (a) Create a community of people in different disciplines who are interested in these topics; (b) Share useful information (e.g., a tutorial on how to install Drupal); (c) Networking; (d) Jobs; (e) Professional development; (f) Etc. How this network will work: (a) We will establish an online network that will aggregate and link out to relevant information provided by members; (b) Membership costs $0.00; (c) We will establish a system through which contributions to the network are rewarded – for instance, via some kind of points system that rewards members for, for instance, solving one another’s technical problem or creating a great tutorial; (d) We will seek to build bridges between journalism and academia, generating interest among computer scientists in the problems of journalism and media and among journalists in the opportunities presented by technology. Description: A WordPress plugin which extracts and divides text and meta-text from blog posts into segments that are delivered to The Extraordinaries smart phone application so that bi-lingual users can volunteer five minutes while waiting in line at the supermarket to help translate news articles and blog posts. The plugin would also reassemble the translated segments into a single blog post and, optionally, give credit to all involved translators. Background: Global Voices is the largest volunteer translation community in the world, both in terms of volunteers and the number of working languages. (New York Times article here.) On a daily basis the community translates independent media between Indonesia, German, Spanish, French, Italian, Malagasy, Dutch, Portuguese, Swahili, Serbian, Macedonian, Arabic, Farsi, Bangla, Chinese, Japanese, Hindi, Hebrew, Russian, Albanian, and more. Developing a mobile interface to social translation would allow Global Voices and other organizations to recruit volunteer translators who don’t have regular access to a desktop internet connection. The Extraordinaries delivers micro-volunteer opportunities to mobile phones and web browsers that can be done on-demand and on-the-spot. Currently available as an iPhone® application through Apple’s iTunes® store, The Extraordinaries enables organizations to connect with their supporters through these micro-volunteer opportunities, strengthening relationships while leveraging their “crowds” to complete real work such as image tagging, translation and research. Next post Plenary: “News, Nerds and Nabes”: How Will Future Americans Learn About the Local?